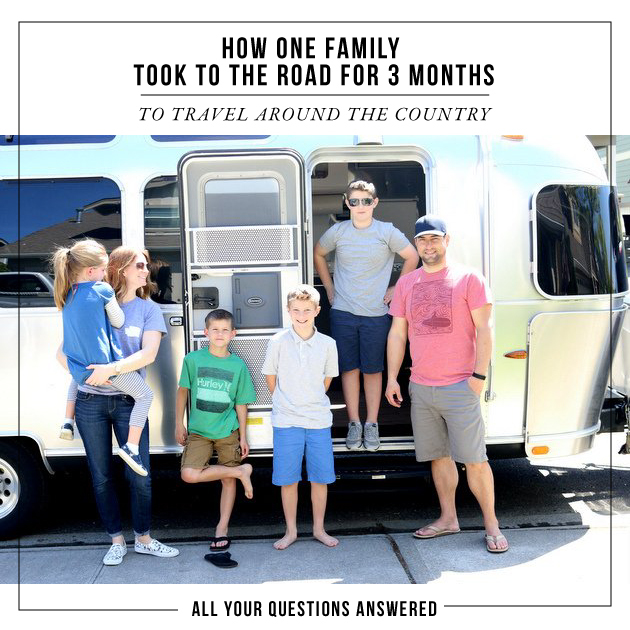 From April through August, 2016, our family of six took a break from the norm and set off on a once-in-a-lifetime adventure. We packed up our Airstream, said goodbye to our friends and family (and sweet pup, Atlas) and hit the road. From Seattle, we traveled around the country in a counter-clockwise route hitting as many National Parks, major cities, historic landmarks and small towns. This adventure was a lifelong goal and one that we knew wouldn’t just happen. It took years of planning, saving, dreaming mixed with a healthy dose of flexibility and craziness. The result was an unforgettable time of learning, growing, pushing through, laughter, loving and a reprioritization of family. It was more than we ever dreamed it could be.